We are Eco World and we are building the future. A future where homes are not just well-built, beautifully-designed developments, but self-sustainable green communities. Such great aspiration requires one important element: people. Talented, bold and creative revolutionists with a fiery passion not only for property development but building a greener & sustainable future. At Eco World, you will be working alongside some of the most experienced experts and brilliant minds in the industry, in a fast-paced and challenging environment. 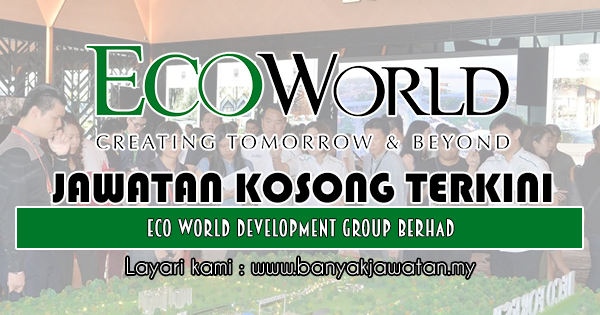 0 Response to "Jawatan Kosong di Eco World Development Group Berhad - 27 Disember 2018"